The crypto markets are in the process of wrapping up a volatile week on a positive note, as virtually all major altcoins have surged today after Bitcoin jumped nearly 3% into the mid-$3,700 price region. Although Bitcoin is currently leading the markets, if it is able to stabilize at, or above, its current price levels, it could mean that the crypto markets will see further gains as the week goes on. At the time of writing, Bitcoin is trading up just under 3% at its current price of $3,750. Last weekend, Bitcoin fell to lows of $3,550, which led to a sharp upwards move this past Monday to highs of just over $3,700. Although Bitcoin surged to over $3,700, bulls were not able to gain enough upwards momentum to propel the cryptocurrency towards $4,000, and its price gradually drifted down as the week progressed. 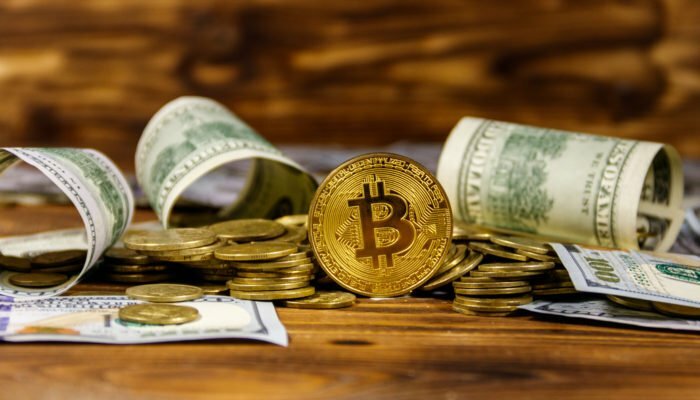 Prior to this morning’s price surge, one popular cryptocurrency analyst on Twitter, called Cred, noted that he will be adding to his Bitcoin buy positions between $3,700 and $3,840 on the condition that it was able to break above $3,700, which had previously turned into a level of relative resistance. “$BTC… Very compressed price action following the high set on Monday. My plan is straightforward: Price below & finding resistance at $3,560s I’ll look for sells targeting $3,430s. Breakout & price accepted above $3,700s I’ll be a buyer until $3,840s,” he explained. If Cred’s assessment of Bitcoin’s current price trend is correct, another upwards move could be right around the corner. Over the past week, most altcoins have been gradually drifting lower, which is partially due to the bout of sideways trading Bitcoin had experienced since its volatile trading session earlier this week. Today’s price surge has allowed virtually all major altcoins to recover at least some of their recent losses, and most cryptocurrencies are currently trading up 3% or more. At the time of writing, XRP is trading up 2.7% at its current price of $0.3325. Last Sunday, XRP fell to lows of $0.317 before quickly climbing to $0.337 on Monday. From here, XRP gradually drifted to lows of $0.322 before rising to its current price levels. Ethereum is trading up over 3% at its current price of $124.63. Ethereum has seen a relatively volatile week, partially due to drama surrounding its highly anticipated Constantinople hard fork, which was delayed after a security flaw in one of the improvement proposals was discovered. Litecoin is one of today’s best performing altcoins and is trading up 5.1% at its current price of $32.72.